A pair of promising three-year-olds, Lucky Lee and Moretti, will seek points toward a Kentucky Derby berth when testing stakes waters in Saturday’s $250,000 Withers (G3) at Aqueduct. Lucky Lee exits a pair of convincing wins at Parx and Moretti romped in a December maiden at Aqueduct. FREE PPs for the Withers Stakes courtesy of Brisnet.com! The 1 1/8-mile race offers a combined 17 points (10-4-2-1 scale) as a Road to the Kentucky Derby series qualifier. Lucky Lee registered a 100 BRIS Speed rating when recording a six-length win in an entry-level allowance on November 17, leading wire-to-wire at a two-turn mile distance. John Servis trains the son of Flatter for Cash Is King Stable and Leonard Green and Parx-based Frankie Pennington will pick up the mount on the dark bay colt. Moretti stretched out to 1 1/8 miles for his second start and posted a 3 1/4-length victory in a December 20 maiden event, registering a 103 BRIS Late Pace number after rallying from just off the pace. A $900,000 yearling purchase by Medaglia d’Oro, the Todd Pletcher-trained colt counts 2017 Breeders’ Cup Dirt Mile (G1) winner and Kentucky Derby third-placer Battle of Midway as a half-brother and Moretti is campaigned by Repole Stables and Eclipse Thoroughbred Partners. Manny Franco rides. Tax was no match for Remsen (G2) winner Maximus Mischief, the leading contender in Saturday’s Holy Bull (G2) at Gulfstream Park, but acquitted himself nicely finishing third in the Kentucky Derby qualifier at Aqueduct on December 1. 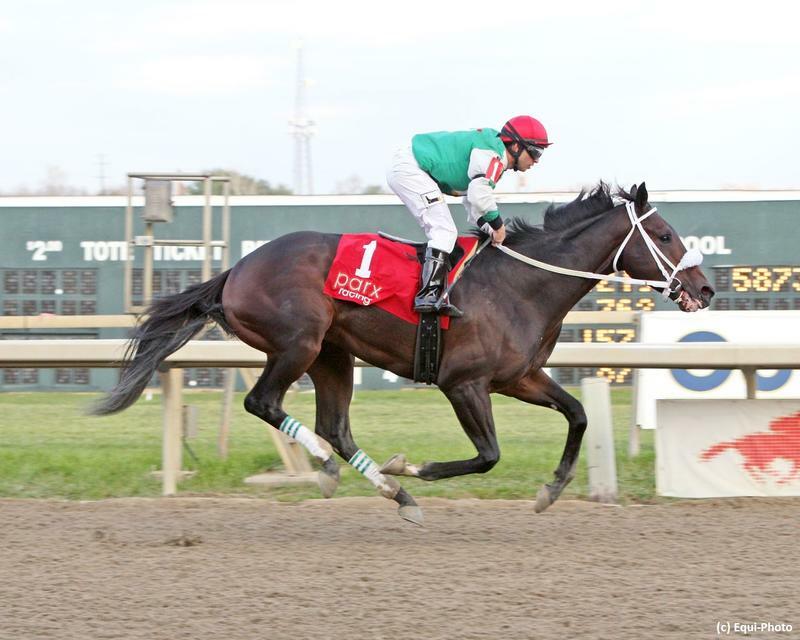 Claimed from a maiden win at Churchill Downs two back, Tax will make his second start for R A Hill Stables and Reeves Thoroughbred Racing and Danny Gargan trains the Arch gelding. Junior Alvarado replaces Franco in the saddle. Our Braintrust will make his first start for Gary Barber and Mark Casse after being purchased off a runner-up effort in the January 1 Jerome at Aqueduct, the first Kentucky Derby qualifier of the New Year. A Maryland-bred son of Freud, Our Braintrust displayed a fine closing kick last time and adds the services of Jose Lezcano. Casse is also responsible for Sir Winston, who switched back to a dirt track following a win in the December 8 Display on Woodbine’s Tapeta. Not That Brady will try open company after recording a three-length score over New York-breds in the December 31 Damon Runyan at Aqueduct. Admire, who exits an off-the-turf maiden tally at Churchill Downs, completes the field.